As the credit bureaus computerized their processes and greatly expanded their reach and influence in the late 1960s and early 1970s, consumer complaints began to pile up at the FTC (Federal Trade Commission) and state attorney generals’ offices. The credit reporting agencies quickly became huge bureaucracies second only in size to the federal government. Yet, the credit bureaus expressly served the needs of their clients, the credit grantors. Many consumers were negatively affected by the credit bureaus, but they had no way to correct or change their credit information. The American consumer lay completely at the mercy of the credit bureaus. The United States Congress enacted the Fair Credit Reporting Act (FCRA) in 1971 to insure that the credit bureaus investigate the credit items disputed by consumers. This federal law set procedural guidelines which gave the consumer the right to challenge the accuracy, validity, and verifiability of the credit listings appearing in their consumer credit report. It also required that the credit bureau repair any credit listing if it was inaccurate or could not be verified. Many consumers have the idea that the credit bureaus must complete their investigation within thirty days or be forced to remove all disputed information. They threaten to sue the credit bureaus if they don’t conclude their investigation in time and repair their credit. In practice, such thinking is delusional. Nobody forces the credit bureaus to do anything. 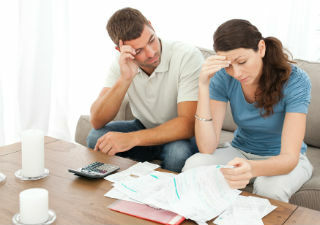 However, if you manage to submit a valid dispute letter, and the credit bureau investigates your dispute, the chances of success are good – whether or not the negative listings are accurate! Accuracy actually has little to do with the deletion of negative items. We educate consumers about Credit! And our niche is helping consumers navigate through their credit reports and their dispute process to achieve the American dream. Rather it’s to keep a job, security clearance, better insurance rates, to get a new home or a new car or just to have a good financial future.